Sometimes I need to step down from my perch as author of historical novels, as lawyer and traveler, and just be me. That is when I think about history as it unfolds. Today it unfolds as flames of war in Libya and as nuclear devastation , almost identical to the wrenching events of the Second World War. It also is unfolding just the way it did the last time I witnessed that history repeating itself, twenty-five years ago. I had gone to England to race the in London Marathon. The day I landed American and British fighters attacked Tripoli and Benghazi. The raid, in retaliation for Libya having bombed a Berlin nightclub frequented by American soldiers, left Tripoli in flames. 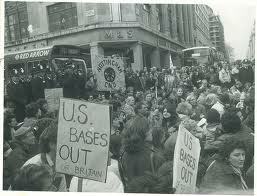 Back in London, the day before the marathon, I found myself swallowed up in a huge demonstration on Oxford Street. Literally hundreds of thousands of people protested President Reagan’s and Prime Minister Thatcher’s decision to bomb Libya, side by side with with hundreds of thousands protesting that the attacks had not gone far enough. After the race, believing things had cooled off, I left London and traveled in France and Italy. During that same few days, Libyan (and PLO) terrorists bombed the Paris Metro subway, assassinated several anti-Ghadafi Italians in Rome, kidnapped and killed three Western journalists in Beirut, and attempted to detonate a bomb on an El Al flight from London. Then, on the day I went to Frankfurt for a flight home, the nuclear portion of the historical disaster repeated itself – the Chernobyl reactor in the Ukraine exploded, devastating everything within ninety miles and sending radioactive clouds across northern Europe, contaminating the milk and spinach and other leafy food crops, exactly as has happened in Japan this last few days. I believed, eventually, as most of us will do, that those events came to be under control. The Russians shuttered Chernobyl, Libya went (relatively) quiet for several years, terrorism shifted more in the direction of Palestine and Iraq, and I assumed that chapter was concluded. I had no idea in December, 1988, as I flew once more to and from London, that I still was seated on the thin edge of the wedge. 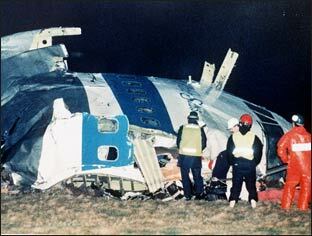 Two weeks after I got off the plane, I read the news, then checked the boarding pass stub that I had tossed on my dresser and, yes, realized that I had flown on one of Pan Am 103’s last flights before it blew up over Lockerbie, Scotland, just before Christmas. I would do it again tomorrow. History will repeat itself, at least until we root out the causes and change the reasons why people from Libya terrorize the world and the world attacks it, why nuclear energy becomes unstable and wrecks unfortunate swaths of mankind and our planet. In the meantime, I believe that we should live our lives fully, not fearfully. I will continue to live my life as I do, on my perch of history and fiction, traveling when I can, reading and writing all the while, knowing that history is not through with me or any of us.